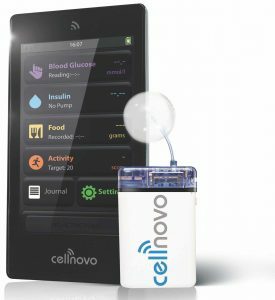 In sad news, Cellnovo (who manufacture the only “patch” insulin pump currently available in Australia) seems to be having financial difficulty. According to a press release on their website, their UK subsidiary has had “administrators” appointed in the last week, and the parent French company seems to be going through the same process. This is because of financial shortfalls meaning that they are at risk of not being able to pay back their creditors. The Company expects its revenues in the first quarter of 2019 and in the following quarters to fall short of the anticipated growth trend following the acceleration in sales observed in the second half of 2018 and announced in the Company’s press release dated 15 January 2019. This forecast comes despite the warm welcome given to the new Gen3 version of the connected system by patients suffering from Type 1 diabetes and an enhanced user experience which provides patients and caregivers with real added value, unrivaled on the market. However, the still limited robustness of the Gen3 System, inherent to any innovative solution, has led to a higher than expected service cost for distribution partners, which hinders immediate large-scale deployment of the new solution. The Company is making every effort to achieve a service cost in line with its partners’ expectations, but the time required to finalize the development of the new solution implies that it will not be possible to roll it out on a large scale before the end of the year. I must admit that the comments about “the still limited robustness” of the system and the subsequent high cost for the service/support organisations didn’t surprise me at all. My own impressions of the Cellnovo have been that it’s a relatively fragile system and using it relies on having ready access to a support organisation to provide replacement components. It was interesting to see them say that in different words. The ability to refill or top-up the reservoir if more than 150U was required during its 3-day life. Linking of some BG meters to the handset via Bluetooth. Lower failure rate of cartridges: I suspect related to automation of a production line instead of having everything hand-made. But will we see any further improvements? In my work in the software engineering world I’ve in the past been inside companies that went into administration, so I’m a little familiar with what happens. Please do note that this is not a “legal” description, just a “lay” overview. Going into administration does give the company legal protection against creditors, giving them better ability to negotiate payment of debts, including writing some of them off. Sometimes the administrators will find a way for the company to trade its way out of the shortfall (using the legal protections of administration) and then end the administration period and successfully trade again. Sometimes they may decide that the best path is to sell everything they can (including intellectual property assets) to be able to pay as many debts as possible without making the situation worse. We don’t know yet what is going to happen with Cellnovo. But administration is not a good place to be. They may continue to trade and then recover to a point of expanding. Or they might wither and die. Note that the Australian distributor (Medical Specialities Australia) are not in administration. But what all this means for the people who rely on the Cellnovo pump to deliver their insulin remains to be seen! Cellnovo is not dead. Yet. Thanks for the up date! I was so looking forward here in Canada to have other options for pumps to choose from and Cellnovo was one I’d been interested in depending on cost, etc. I’m self funded here in Canada – but working with a group of health oriented folks like myself to get Pharmacare going with social media / radio / telly . Sigh. Carry on doing what you do!!! The more of us inside the “business” the better – because we tell the truth and nothing but the truth so help me ….. I just hope that they can sort something out to advise all of us users of the system exactly where we go in the short term. Luckily I have enough supplies to last me for 2 months (I was re-supplied last week) but that is not a good situation if it means that future supplies are stopping as it takes time to arrange for a different pump to be supplied. That is if the NHS will supply me with a different pump or whether I will have to go on a waiting list again. I must admit that all of the different problems they have had over the past 18 months both with the handsets and cartridges must have set them back an awful lot of investment to put things right but since the issue of the Gen 3 handset and the latest cartridges the system has been working better than ever with very few problems. I was thinking that they had now turned the corner and had a system that was worthy of recommending to other patients when asked for my opinion. Heres hoping that somebody can see that the future is brighter now and take a punt on something that is working at last.